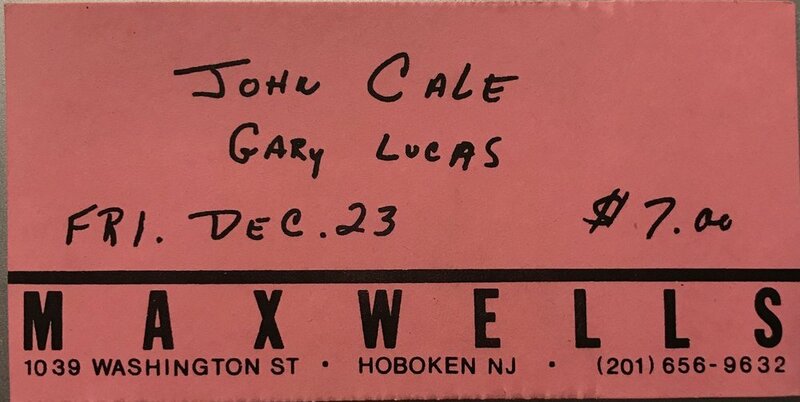 On December 23rd, 1988, John Cale played at Maxwell’s! This show marks the beginning of a comeback for the former Velvet Underground member, as after releasing his 11th studio album, Artificial Intelligence, in 1985, Cale took a break from recording and performing. Shortly after this performance, Cale released the Brian Eno-produced album, Words for the Dying, in 1989. This tape contains about 50 minutes of his set. Unfortunately, the tape recorder died mid-set. It's 50 high quality sounding minutes, though. Enjoy!